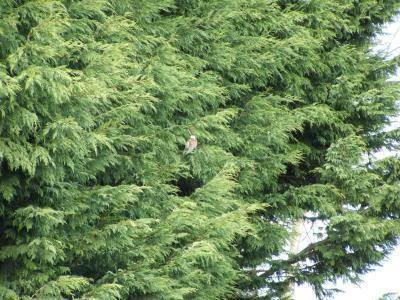 This pigeon is hanging around the wood pigeons in the conifers. 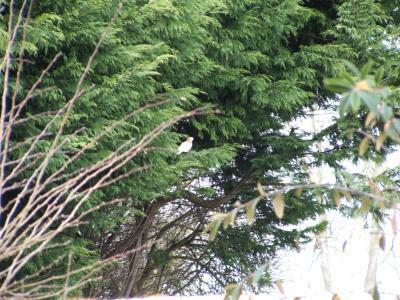 13 yeah, I'm pretty sure that's a collared dove too. ive seen pics.